If I had a signature natural hairstyle, mini twists would be a tie right along with the braid out. Okay, now back to the style, I took my twists down on tuesday or monday and wednesday I got this great, wonderful, awesome idea to do a protein treatment in my hair. I hope you can smell the sarcasm oozing from my words. Anyway, I thought that maybe my hair was too elastic. Why I don't know. So at 12 am in the morning or so, I put Audrey GPB protein treatment in my hair. Then, I don't know what the heck I was thinking, I normally read everything before I plop it on my head, but this time I said what the hey, can't be too much more than placenta in this stuff and panthenol, so without reading the ingredients I threw some of Queen Helene's Placenta Hot Oil treatment on my head. After I put it on, I flipped the bottle around, Probably the seventh ingredient was KERATIN. OMG. Keratin. I know keratin is probably one of the strongest proteins that one can put on their hair. I thought to myself, it can't be that bad. Hmph! For the last eight months my hiar has been tangle free until I did this. My God! I will never do that again! I just hope that my hair is not damaged and this shall too pass. Can't win for losing. 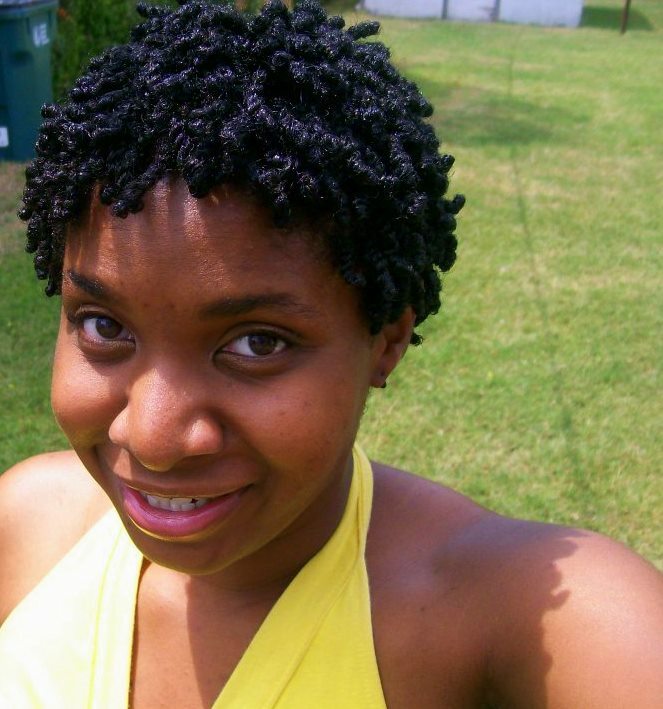 So here I am now, on Thursday, with mini twists. Started around 9 or 10 and finished at 3:30 AM. SO excuse the puffy eyes too please. I stopped experimenting with twisting with different products and went back to my tried and true World of Curls Curl Activator gel (dry hair formula) and Fruit of the Earth Aloe Vera gel with naturals. First I cowashed my hair with Yes to Cucumbers conditioner (good slip I must say), then sectioned my hair off and got to twisting. In the middle of my hair, I decided to experiment with olive oil. I put world of curls on the each section, slathered oil on my hands and rubbed it through, trying to see if this will make a difference. These are going to stay in for AT LEAST 3 weeks if not more. I trimmed my ends up really good and now I want to protect them. Plus it is too hot to wear any other style. 102 today, 103 Saturday and 104 Sunday. Yeah, um okay. Lol. Stay cool everyone and have a blessed weekend and thank you for stopping by and commenting! You all are the best! 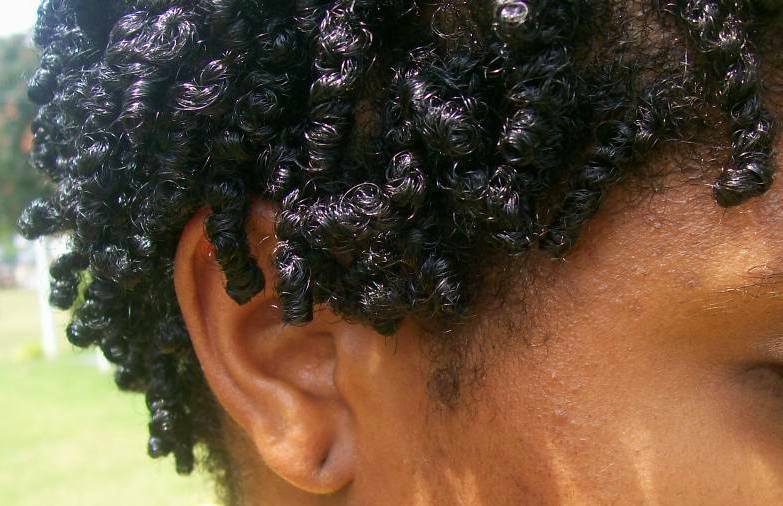 your twists look great. I too wear twists religiously but they don't look as great as yours. Thanks for the love Kingsmomma! And I'm sure your twists are BEAUTIFUL! LOL! I totally understand! One secret that I shared on nappturality that helps me out a lot is that I sit on the floor indian style, and when I get to the back of my head, I lean forward, and rest my elbows on my knees, that way I don't have to hold my arms up in the air for hours and hours. I wish I could do coils too but I can't master them, poo! Oh yeah! I use to stand too but a few years ago my mom bought me one of those antique cheval mirrors and I sit in front of that and twist my hair....standing got old real quick! J'adore tes petites vanilles, elles te vont bien! 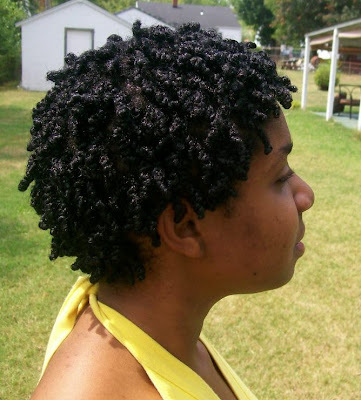 How can you let your twist at least for 3 weeks? 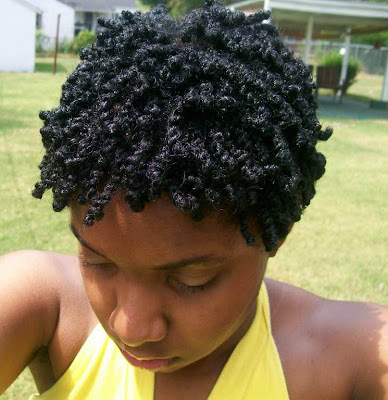 I did mine yesteday with Réne furterer leave in and seal the ends with coconut oil and i dont know , how i can let them for 3 weeks, knowing that i always wash and DC weekly? Water will surely destroy my mini twist, right? 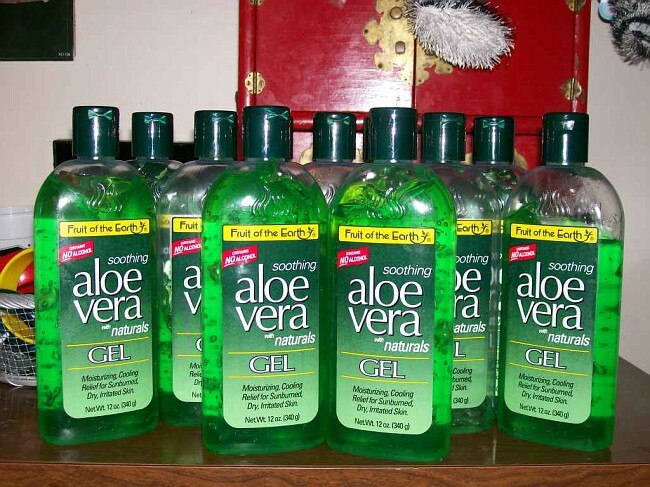 Were you ever able to pin point what precisely caused your hair damage? Hey Pam! I think that even the most minute amount of protein is bad for my hair and that causes my hair to be dry and brittle, and then that caused the incomplete splits. As soon as I used a conditioner with protein in it in September of this year, after almost a year of being incomplete split free, they automatically showed back up on the last 2 inches of my hair. Hey TMI4me! How are you doing girl? 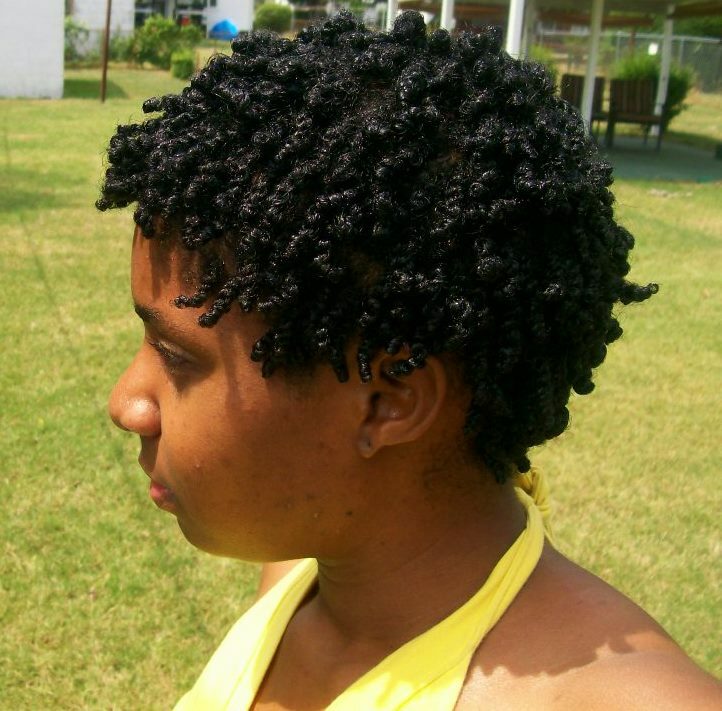 I think mini twists work well on fine, thin hair because mini twists make the hair appear fuller. 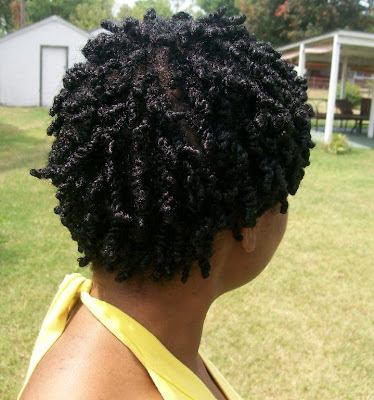 To jazz them up you can try adding flat twists in the front, or try a cute updo. Even adding cute accessories such as hair chopsticks or a headband can help to make your mini twists extra cute. Good luck no matter what you try and keep me posted!